The mission of the Legion of Mary is to raise faithful followers of Jesus, Catholics who seek sanctification in Christ through Mary by prayers and spiritual works. Our Lady Seat of Wisdom, the Legion Praesidium of Ave Maria, seeks to do this by spreading devotion to Christ and Our Lady through recitation of the Most Holy Rosary, to evangelize others by educating and renewing the faith of fellow Catholics, by special prayers for vocations, and by encouraging others to join Mary’s Legion. Jesus commands, "Go into the whole world and proclaim the good news." Bishop Dewane says, "Enter into an open dialogue with others about your Faith - evangelize!" Pope Benedict XVI has asked that all Catholics be involved in a New Evangelization. He asks that people be approached and personally invited to the Church. Pope Francis says, "Each Christian and every community must discern the path that the Lord points out, but all of us are asked to obey his call to go forth from our own comfort zone in order to reach all the peripheries in need of the light of the Gospel." The Archbishop of Miami, Thomas Wenski, has directed his priests to consider the Legion of Mary as a response to Pope Francis's appeal, "to go out into the streets". Works for Active Members Approved by Concilium. 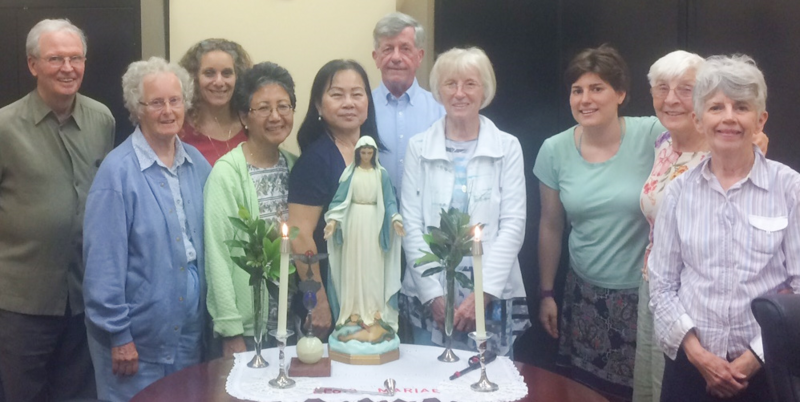 The Legion of Mary meets Thursday's at 7pm in the Parish Offices on Pope John Paul II Blvd. Visitors are most welcome. Come in the backdoor. 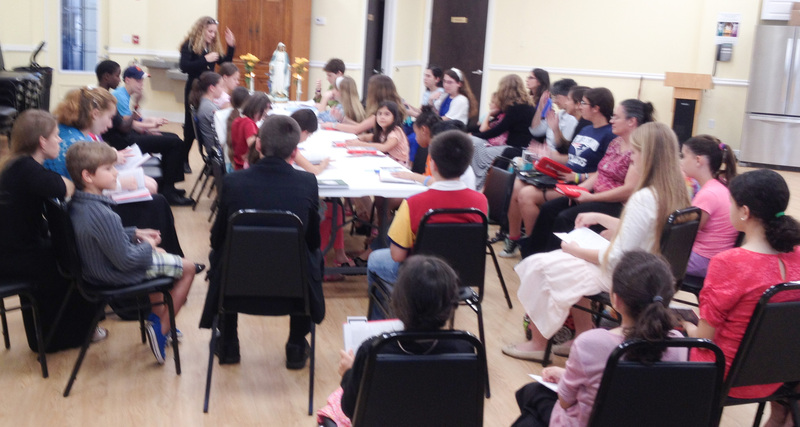 Our Lady Seat of Wisdom Praesiduim reports to the Southwest Florida Curia. and the Miami Regia. The worldwide headquarters of the Legion of Mary is in Dublin, Ireland. 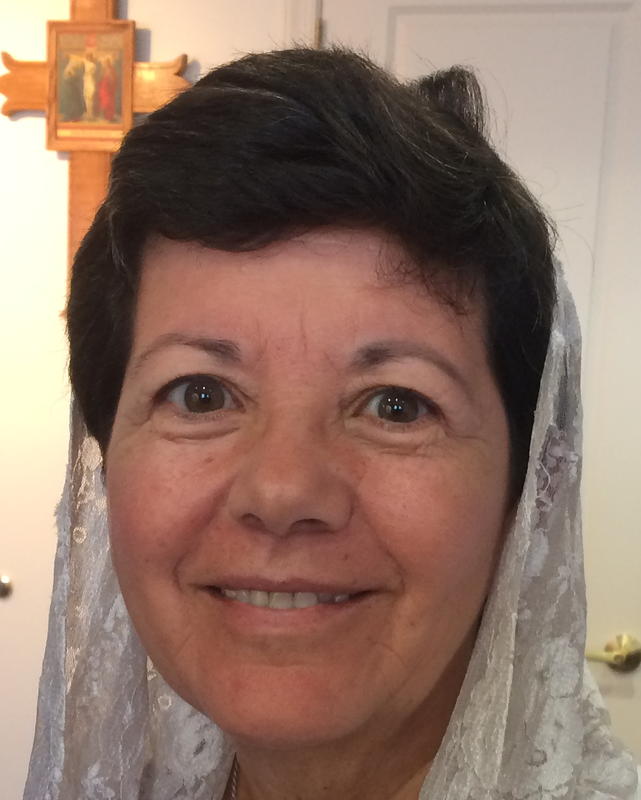 Virginia Melendez is leaving Ave Maria and spending two weeks in Cuba as part of a Legion of Mary evangelization project. She will go door to door, talking to people, inviting them to church, passing out Miraculous Medals, Rosaries and Catholic literature. They are working to revive the Catholic faith that has been suppressed under a brutal communist dictatorship. The people of Cuba are thirsting for Christ. Pray for the success of this effort. The Legion of Mary is going door to door in Ave Maria visiting homes. We welcome people, talk with them, give them the church bulletin and invite them to Church. One of our outreach projects is the establishment of new Praesidia. After years of persevering work, eight new Praesidia are meeting at the Ave Maria School of Law, Saint Ann's, Saint Agnes, Our Lady of Guadalupe, a student Praesidium at Ave Maria University, a Junior Praesidium at Ave Maria Parish, and two Praesidia at Our Lady Queen of Heaven in LaBelle. Contact us if you would like a Praesidium in your parish. Families pray together when the statue visits. Legion members Marchese Traver and Dorothy Daly greet visitors to the Ave Maria Parish Church. Rosaries, Miraculous Medals, Scapulars, prayer cards, Catholic literature, and books are distributed free to visitors. Legion of Mary members engage visitors in conversations about the faith. We listen to them. The purpose is to encourage people to increase their faith and devotion to Jesus. While most visitors are Catholics, the Legionaries have had interesting conversations with people of many faiths and with people of no faith. "Whatever you do to the least of my brothers this you do to me." These are the words we will hear when we are judged. Love of neighbor, this is what God commands. This is what the Legion of Mary is about. Mary is our model. We have to see Jesus in the people we meet and to serve them as Mary serves Jesus. The Legion of Mary goes to strangers and welcomes them. 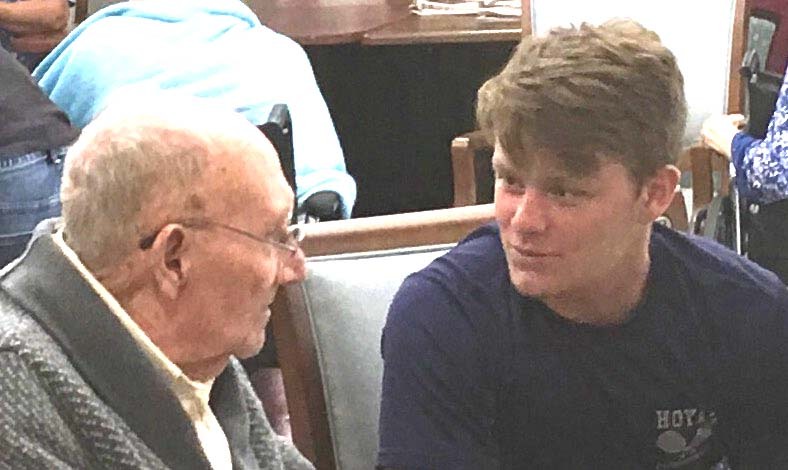 It goes to the lonely, isolated people in nursing homes and jails, and befriends them. The Church is in decline in Europe and the United States. In Europe there are more practicing Moslems than there are practicing Catholics. The largest religious group in the US is former Catholics. Many people have become practicing Catholics after having been invited and welcomed by the Legion of Mary. The Legion of Mary is about outreach. It seeks to obey Jesus when He says, "Go out to all people." George Sahyouni, Curia President, greets attendees. The Holy Spirit operates always with her.